Since Husserl, phenomenological philosophers have dialogued with the empirical sciences in an attempt to contribute to a more complete human science—a science that speaks to the fullness of being human. The job of our philosophers, in this context, is to invite an opening up of an epistemological conversation that renews the sciences’ exploration of human phenomena. Our job as phenomenological psychologists is related but different—to open up a way, through a renewed theory of knowledge, to alternate human-scientific praxes. Our work as psychologists, while rooted in phenomenological philosophy, finds its fulfillment not within philosophical scholarship but rather in the living encounter with research participants that yields psychological knowledge. We are the philosophers’ cousins, so to speak, expressing a shared tradition, but in a different domain. We have much room for collaboration because so much of our home-ground is shared. Discussion and collaboration, I think, can only strengthen our distinct endeavors. Such a view would limit phenomenology to adding color and warmth, so to speak, to empiricism’s overly technical, monochromatic depiction of language. But nothing fundamental in the empirical conception of language would be challenged. As Merleau-Ponty points out, “This is impossible. As soon as we distinguish, alongside of the objective science of language, a phenomenology of speech, we set in motion a dialectic through which the two disciplines open communications” (p. 86). And that is a tremendous challenge because it opens up a void precisely at the foot of empiricism’s own natural attitude. Openly questioning in this way is not a merely theoretical challenge; as Berger (1972) writes, “is an ordeal we must undergo personally: one cannot make use of another’s doubt” because “the reduction is a lived-experience” (p. 106). Merleau-Ponty (1964) proceeds to offer a lovely discussion of this dynamic dialectic in which either side is transformed through its engagement with the other. Just as phenomenology does not deny the factual and historical, empiricism, to engage fully with phenomenology, must open itself to the realm of meaning implicit in language as it is lived, that is, as it is embodied. This does not mean that natural scientists must become phenomenologists—but it does mean that both partners in the dialogue would need to embrace a radical, shared questioning. Both phenomenological philosophers and psychologists will recognize their own vocation in this questioning—one that of course is not narrowly phenomenological: the aim of philosophia cannot be to merely reaffirm our own preconceptions, but to make ourselves disposable to shared discovery. As Merleau-Ponty wrote, “to the extent that what I say has meaning, I am a different ‘other’ for myself when I am speaking; and to the extent that I understand, I no longer know who is speaking and who is listening” (p. 97). Berger, G. (1972). The Cogito in Husserl’s Philosophy (K. McLaughlin, Trans.). Evanston: Northwestern University Press. 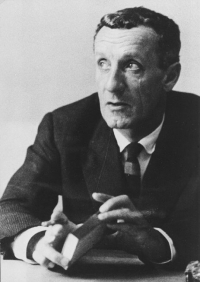 Merleau-Ponty, M. (1964). Signs (R. C. McCleary, Trans.). Evanston: Northwestern University Press.